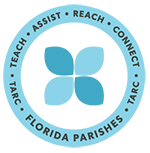 TARC has been a part of the community of Hammond and the Florida Parishes of Louisiana for over 45 years. Through this website you can find out more about all of the services we provide to individuals with disabilities and their families. 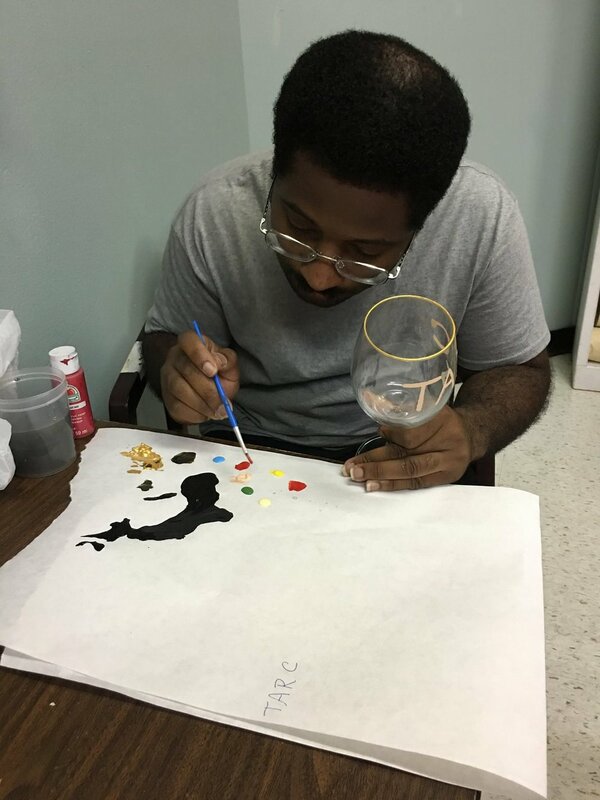 Currently TARC provides Early Intervention Services, TARC Day Habilitation Program, Community Supports and Services; including Supported Independent Living. We hope that you browse through our website and read about the services we provide, and please contact us if we can be of assistance to you, your family, or anyone you know of in need of services. A little bit of history…The Methodist Church in Hammond was where we began in January 1973 with a class of six individuals with various disabilities. What a long road this organization has traveled to get to where we are today, serving over 100 infants and toddlers in our Early Intervention Program and over 300 families in our Advocacy/Case Management Program. Throughout the years of TARC’s progression one factor that has remained constant is our community involvement. As early as the 1950’s the people of Tangipahoa Parish have shown a genuine concern for individuals with disabilities. In 1956, the Hammond Civitian Club was organized to aid children with intellectual disabilities. In 1958 this organization began to enroll students and Mrs. Vita Schilling was hired as a homebound teacher. During the 1960’s, a great deal took place to cut a pathway for improvement for children with disabilities. In 1960 the Ponchatoula Civitan was organized and Mrs. Vivian Hollis started a class for the children of the Ponchatoula area. In 1961, Dr. C. M. Fagan was the first president of Parents and Friends for special needs children. About this same time Ponchatoula and Amite formed their own Association for Special Needs Citizens. Not long after that Hammond State School opened as a 24-hour facility for people with intellectual disabilities. However, the state school did not have a day program for non-residents so towards the end of the 1960’s a sheltered workshop, known as C. M. Fagan Special Services, opened for adults with intellectual disabilities. Even though time was bringing out the right attitudes, our area still lacked an environment that would serve and meet the daily needs of individual children with special needs. How very fortunate for the people of Tangipahoa Parish that the Pirosko family decided to move into our area in 1972. Joseph and Mary Pirosko had a son, Stephen, who was born with Down syndrome. Immediately after settling in, the Piroskos joined the Hammond-Ponchatoula ARC. It did not take long for the Piroskos to recognize the lack of services our area provided for children with special needs. 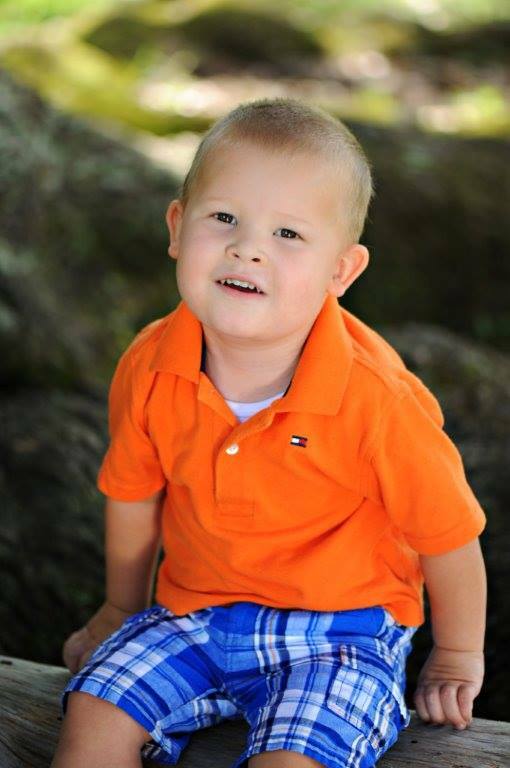 They had previously lived in Illinois where Stephen’s needs were fully met. The program Stephen was in provided services from “the cradle to the grave” so to speak. They had seen what was provided in Illinois for their son and decided to find a way to bring those services to our area. Mary Pirosko accepted the challenge. She was determined to make a difference for her special needs child and other children with disabilities like him. She began to make contacts and started working with the Office of Citizens with Developmental Disabilites to develop a Day Developmental Training Center in Tangipahoa Parish. In the fall of 1972, Mary solicited our community for help in starting a class for disabled children. And help is what she got. The founding members of the Hammond-Ponchatoula ARC stood firmly behind her beliefs. Some of the members of this group were Mrs. Shirley Vitter, Mrs. Hazel Fletcher, Joe DeMarco, and Mr. & Mrs. C. M. Fagan. Before long a classroom was provided at the Methodist Church in Hammond through the help of Katie Wainwright. The Knights of Columbus donated tables and chairs. But two vital factors were still missing, a teacher, director and funding. Being the driven determined person, Mary Pirosko is, she convinced Stephen’s teacher in Illinois to move to Louisiana and undertake the mission to start a class in our area. A vision was finally starting to emerge. By the end of 1972, Barry Meyer and his wife, Ellen moved to Hammond to assist Mary in her mission. But there was still the problem of funding and the state would not make any provisions until the organization was self sufficient for one year. Mary would not give up. She contacted Hank Jones, president of the Police Jury, his jurors and the City of Hammond pleading for funds. And again our community made us proud. Each group donated $2500.00 but we still lacked the final $2500.00 needed. The generous late Buddy Billups donated the remaining $2500.00 needed to get started. So in January 1973, the Hammond Ponchatoula ARC name was changed to the Tangipahoa ARC and the first class was started serving six children with various levels of special needs and developmental disabilities. Barry Meyer, presently Executive Director of Baton Rouge ARC, was the first supervisor and the organization was run on a budget of $7000.00 for one year. Families were solicited through fliers handed out at the Hammond A & P Grocery Store by the Piroskos and Meyers. The many long hours and hard work had paid off. The Pirosko’s dream along with many others was finally a reality. By 1974, TARC had expanded to four classes. The Methodist Church in Hammond and Amite held classes and an additional class was held at the Christian Church in Hammond. With the establishment of Public Law 94-142 providing ALL children from ages 3-22 with a free and appropriate education, TARC began directing its efforts toward infant and toddlers under the age of 3 and adults with developmental disabilities. Sylvia Bush was hired as TARC’s first Executive Director in 1979. TARC’s focus became sheltered work activities for adults and early intervention for infants. Clients began working in the community, work crews developed, and the first community home for women, Our House, was opened in the 1980’s. By the mid 1980’s, TARC operated its first supervised apartment program in Tangipahoa Parish. A community home for men, the Fortenberry House, was opened. It became apparent by 1989 that two separate organizations were needed to address the growing needs of people with disabilities. So OPTIONS was created for the adult clients and on July l, 1990 TARC and OPTIONS began operating as two separate agencies each with their own Director and own Board of Directors. TARC hired a new director, Chris Nuss and continued to provide infant services. Our newly created organization, OPTIONS, began providing vocational and residential services with Sylvia Bush as their director. Through all of this expanding, change and growth, funding remained an issue. Each year brought new state cuts and the struggle continues. TARC is constantly searching for new funds through the state and federal government to expand our services to children and adults with disabilities. United Way also provides support to our organization. But the money we receive is never enough due to the rising cost of the services we provide, therefore, TARC began its own fundraising in 1985. So each year, TARC raises its own funds to supplement the monies we receive from the state and United Way. Radiothon has been in existence since 1985 with each year’s support more and more astounding. It is broadcast live for two days on WFPR/WHMD. Area dignitaries bring in pledges and raise money on the air during a designated time. The energy generated during this time is unbelievable. Radiothon has raised as much as $75,000 in two days Penny Power was created in 1991 accessing our Tangipahoa Parish schools. TARC felt it was a way for the children in our area to be a part of helping individuals who are not as fortunate as they are. This fundraiser has raised as much as $63,000. Each participating class in a school collects all denomination of coin and cash for one week to donate to TARC. If they meet a certain goal they win a pizza party for their class. TARC had no idea when Penny Power was implemented what the actual results would be. In 1991 the students within the parish collected $1200.00 in change but by l997 over $15,000.00 was collected. 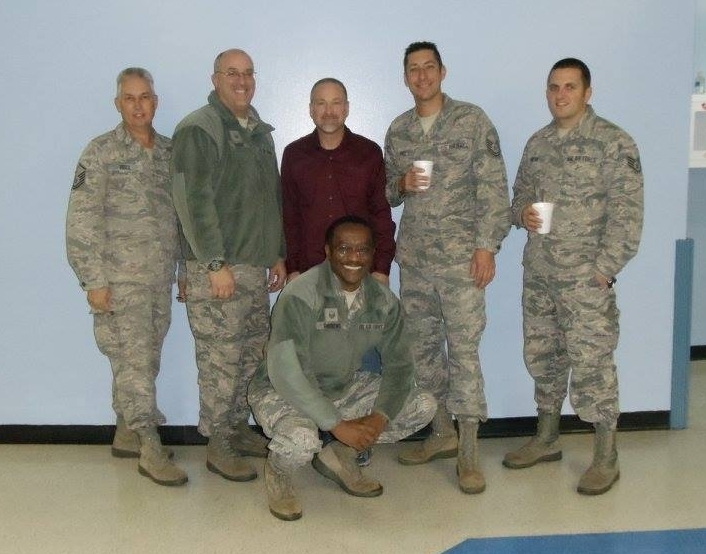 It has grown so big that we had to ask the 231st Air National Guard to volunteer their services to help collect and count the coins as well as transport the coin to the bank for deposit. We could not handle the mass amount of coins during this fundraiser without these wonderful guys. Under the directions of Tammy Earles another program was added in 1991 called Case Management. This program provides services to children over three years of age through adulthood with intellectual and/or developmental disabilities. Due to growth at TARC, in May 1994, a second location was opened at North Cypress Street and both Case Management and Administration moved in. In 1995, Melinda Bass took over as Executive Director of TARC. Many changes were taking place at this time especially in our funding sources. Many vital decisions were also being made during this crucial time. Melinda was busy finalizing the purchase of a new state van, annual audit was gong on, and the running of two offices became just another challenge. In 1997, TARC finally received their first 10-passenger Dodge van from the state to transport children to and from our Early Intervention Program. This dream too became a reality. Land for the Administration building was purchased from Bobby Maurin. Funds donated from the estate of Mildred Furbois were used to purchase the land. The first building was donated in December 2003 from the Hood Auto Group of Hammond, LLC. The administration staff moved into the building in May of 2004. The second building was donated in March 2008 from Hood Auto Group of Hammond, LLC. We moved into this building in May 2008. Hammond BBQ was founded in 2003. This is a local BBQ contest in our community and takes place in downtown Hammond. TARC is one of the beneficiaries of the proceeds. We secure sponsors, entertainment, work the merchandise tents, and do whatever we are asked of the Blues and BBQ Board. November of 2009 thru November 2014 TARC held the annual Theta XI Scramble, a golf tournament at Carter Plantation in Springfield, Louisiana. The golf tournament was started with the help of Shane Nicaud of Theta XI. In November 2014 the board of directors decided to discontinue the event because of the time and money needed to hold the event. TARC started looking for a new event that could replace the tournament and generate more funds. April of 2011 Abels worked with the Livingston Parish Chambers of Education Committee to incorporate the Ability Beyond Scholarship Program. The concept of the scholarshipwas to recognize high school seniors that received modifications due to a physical disability and or a learning disability from the Livingston Parish School Board LEA Program to reach their goal of receiving a high school diploma and continuing their education in college. The Scholarship presented was for a $1000. The scholarshiphas continued each year since 2011. The TARC Board of Directors voted in early 2011 to begin the application process of obtaining a gaming license to conduct Bingo sessions with Cypress Palace. In October 2011 TARC began its first session of Bingo with Cypress Palace in Hammond. TARC also conducted Bingo in Sun, Louisiana from 2013-2014. February 24, 2016 was the grand opening for the TARC Day Habiliatation Program. The program opened on June 24, 2015. Roxanne LeBlanc is the Supervisor, and Floyd Colkmire is the Director. March 11-15, 2016: The Florida Parishes experienced one of the worst floods in history. Many businesses and homes were affected by the flood waters. TARC clients and employees experienced losing their homes and personal belongings. Since TARC’s inception many changes have occurred. The name changed many times over the years to finally what it is now: TARC…Serving people with disabilities and their families. 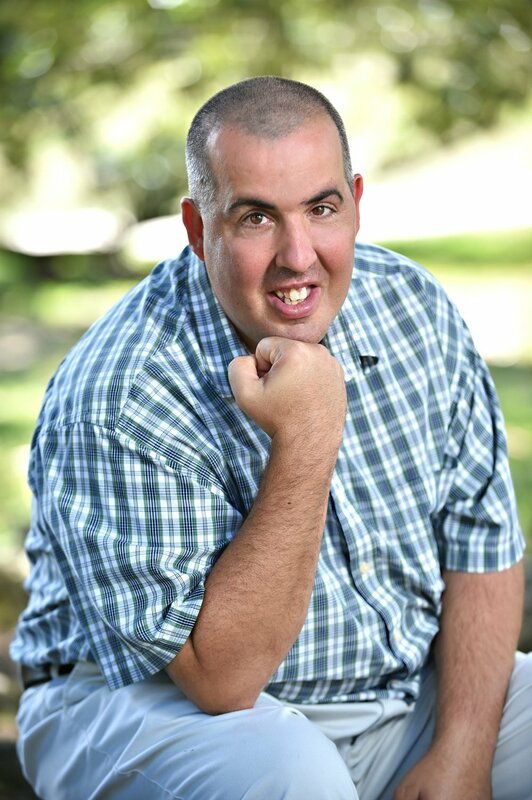 So many employees have come and gone, directors have changed over the past years but our mission has remained the same…”to provide the best quality of life for those individuals with special needs and developmental disabilities”. Many concerned individuals have made a difference during the last thirty- seven years. So many lives have been touched and changed by these individuals. TARC is very proud of their heritage and the legacy that has been created for nearly three decades. The TARC staff and Board of Directors will continue to strongly push ahead for answers and additional funding in our fight for the right of individuals with mental retardation and/or developmental disabilities. Kids ‘R’ Us Early Learning Center began on June 5, 2000 as an extension of TARC’s Early Intervention Centerbase Program. Parents who had their children enrolled in Centerbase and were not ready for their three year old child to transition into the school system, mentioned that it would be wonderful to have a Child Care Center that was prepared and willing to accept their special needs child. TARC seemed to be an ideal place since it already had available resources and highly qualified staff. Tracy Garner did the research and applied for the license and Kids ‘R’ Us opened with five children and four staff members. Due to the need in the community, Kids ‘R’ Us soon had to increase the capacity from 32 to 64 children, expand the hours of operation, and add infant care and more classrooms. Kids ‘R’ Us now employees 16 staff. In June 2002, we added an overhang on the front of the Day Care building. We also provide two rooms for Speech, Occupational and Physical therapy. In order to provide better nutrition without increasing tuition, we joined the State Food Program in October 2004. In the summer of 2007, we did an extensive playground improvement and are proud to be the only local Child Care Center with a universally accessible play environment created to enable children of all abilities to play side-by-side. Money for this project came from Blues and BBQ Funds. VISION – The vision of Kids ‘R’ Us is to have a loving all inclusive center where children of all abilities would learn alongside each other. Children with disabilities would feel accepted and have role models and the children without special needs would learn to accept and be comfortable around children that were a little different from them. We want to be able to detect delays in children in our center and provide guidance and information to parents. We also use this opportunity to educate the community on the importance of inclusion and that this environment can only benefit all children. TARC’s Community Supports and Services Program began in the spring of 2001. Tracy Garner was the first director. The overall goal of the CSS Program is to provide personalized services for persons with developmental disabilities. It is intended to support individuals with needed care and assistance and to serve as an option in lieu of institutionalization. Personal Care Services are provided by Direct Support Workers (DSW’S). DSW’s provide support for the consumer in his/her own home, such as cooking, food preparation, bathing, dressing, hygiene, transportation, leisure activities, ambulation, physically assisting, and any other function of daily living as determined necessary. DSW’s will also assist with social skills and interactions and self-advocacy training. Certified Medication Administrator’s will also assist with medication.